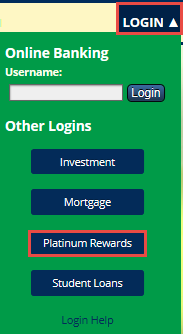 How do I log in to my Platinum Rewards account? You must have a Visa Platinum card with NDFCU to receive the platinum rewards benefit. If you have a Platinum Credit Card, select Login and then select Platinum Rewards from the menu. Please select the Register button to create your Rewards account. You will need to enter the account holder's information, zip code and last 6 digits of the card number (1). If you have questions, contact customer service (2). If you already have a username but need to validate your account, select the validate button (3). 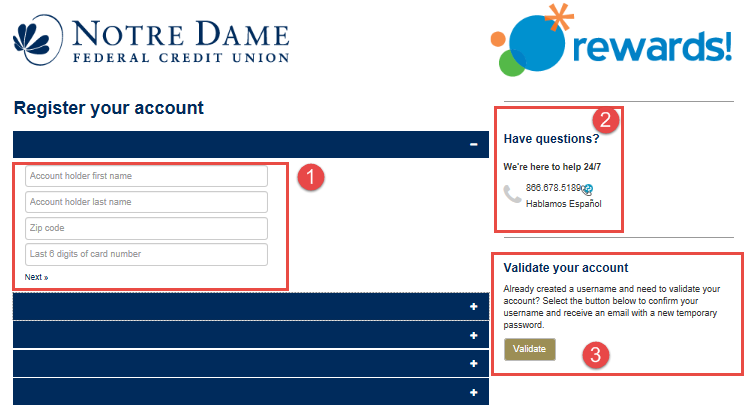 If you have completed the registration process, enter your user name and select Sign In to view your account or redeem your points.